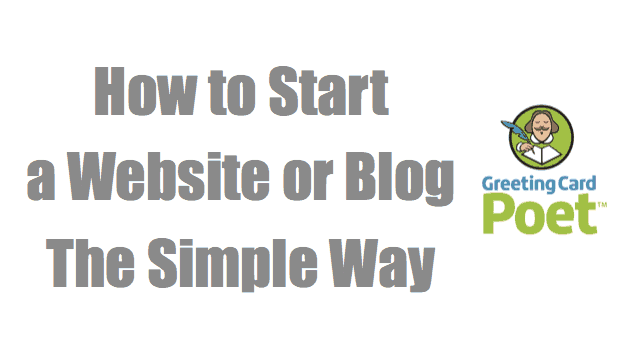 Would you like to know how to start a website or blog? Nowadays, it’s pretty easy. We’re frequently asked by friends and family what’s the best way to start. So, we’ve put together this short guide to get you going. Set aside about 15 – 20 minutes and you can be well on your way. Disclaimer: You should know that some of the links below are affiliate links, and we earn commissions if you make a purchase using the links. For any resource that we recommend, please know that we’ve researched, tested and used the company’s offerings, and feel strongly enough about service to recommend them to others. 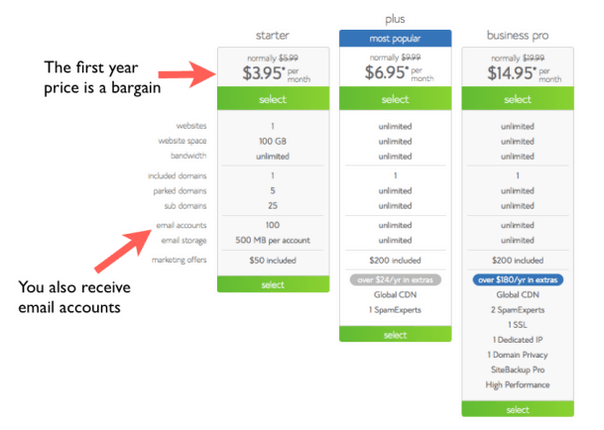 Decide on a domain name and select your website host. Coming up with a great name for your site can be a challenge because of the number of websites already in existence. Some quick suggestions: use a .com suffix, keep it short, and be creative. Combining 3-4 well known words is not a bad formula or creating a made-up word. When you have some options, it’s time to visit Bluehost to sign up for hosting and to see what url options are available to you. I’d recommend going with the STARTER PLAN or the MOST POPULAR PLAN. By paying in advance, you can save some dollars. Your host provides a space for your website to exist on the Internet. Our experience with Bluehost has been outstanding. Great customer service, very low prices and incredibly reliable — exactly what you need in a hosting partner. You’ll receive a credit for a free url by signing up. Go and see what url is available to you by entering your options in the box. 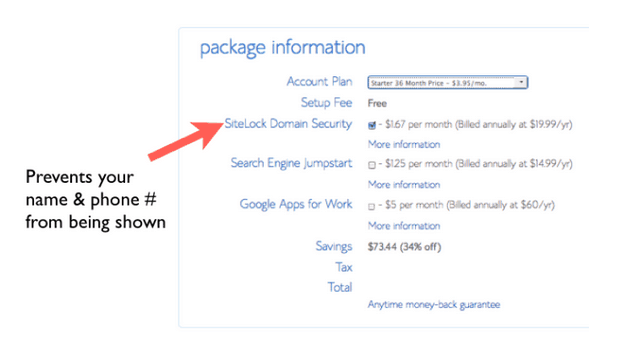 With the SiteLock Domain Security, you can elect to shield your name from the The Domain Whois Privacy for an extra cost (we don’t; but it’s up to you). 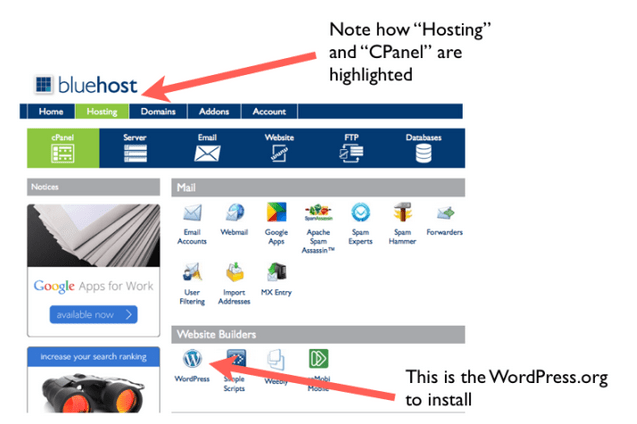 After registering with Bluehost.com, you’ll need to load WordPress.org on to your new site. Bluehost has made it easy for you. WordPress is the most popular engine for websites due in large part because of how easy it is to use and its search engine optimization benefits. Log into Bluehost and go to the Website Builders section. 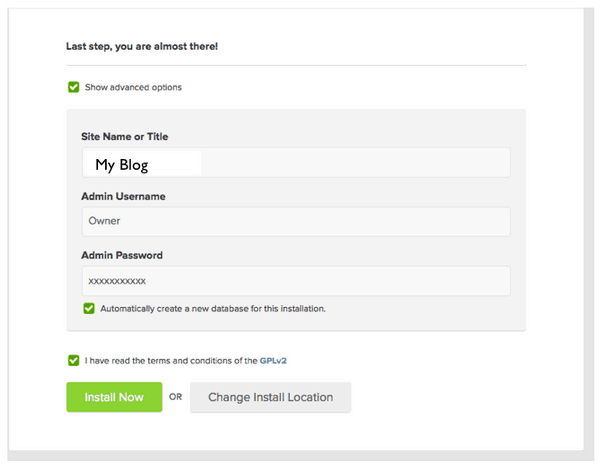 Select the WordPress logo and follow the instructions to install WordPress. It’s easy, so select the Do it Yourself for Free option. Click on the Check Domain button. Indicate you’ve read the terms and conditions, then click Install Now. When installation is complete, please click on the View Credentials button. IMPORTANT: Write down you admin url, your username and password. You’ll need these to log in. Copy the admin url and paste it into your web browser url location up top – this area will look like this if you’re on Google: https://www.google.com/ Hit return, then, enter your user name and password that you copied down. Hit enter, and you’ve just entered your brand new website. Adding a theme on top of WordPress is very easy to do and will make your website stand out. There are many free options and many premium options. Review theme options at StudioPress. StudioPress will provide installation instructions — usually quite easy to get it up and running. One tip: make sure the theme you select is mobile responsive so that it looks good on tablets and smart phones.